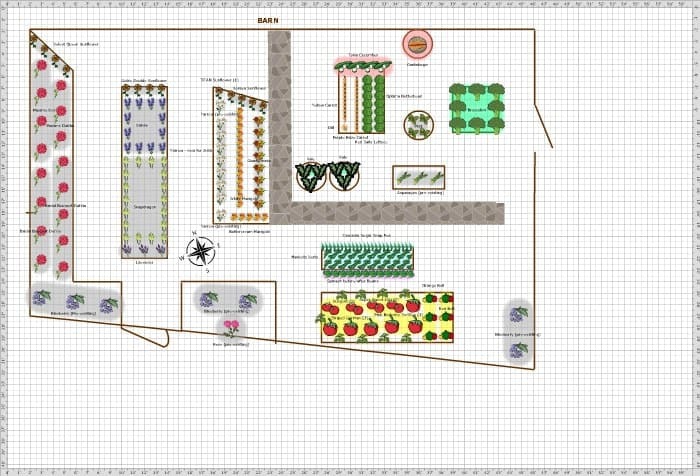 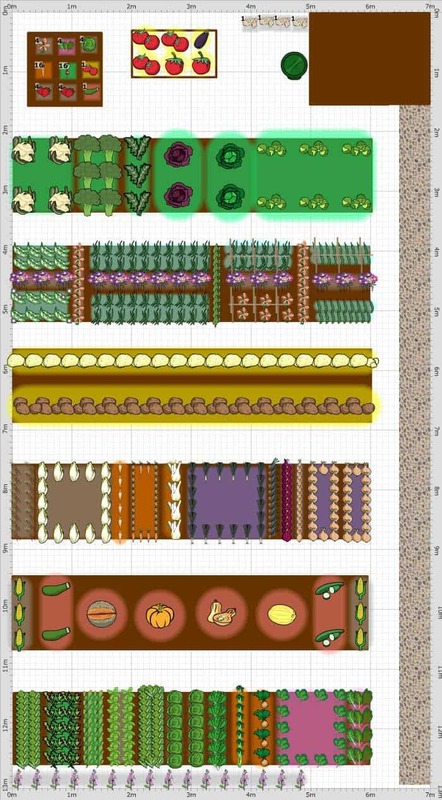 This is the fun and creative part of gardening-the garden planning and designing stages. 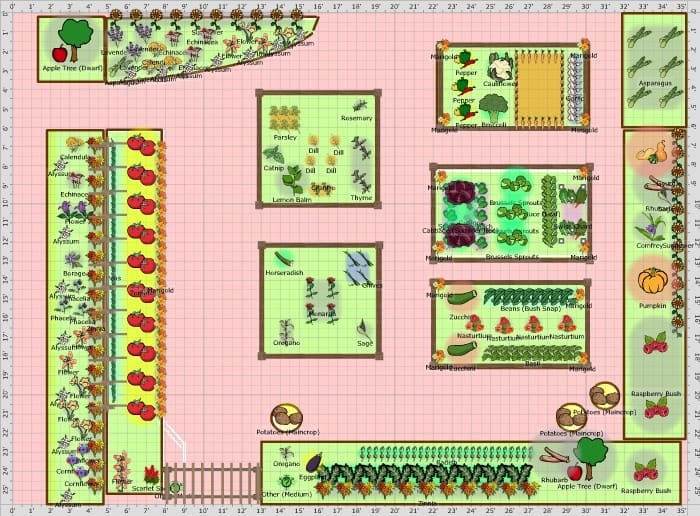 If this is your first garden then you’ll be establishing your garden beds. 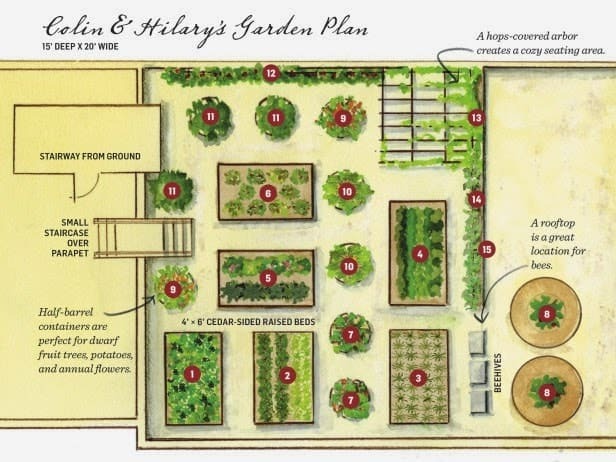 If you have a garden where you live or you’ve been enjoying gardening for many years, then every spring you create a new garden plan for the year. 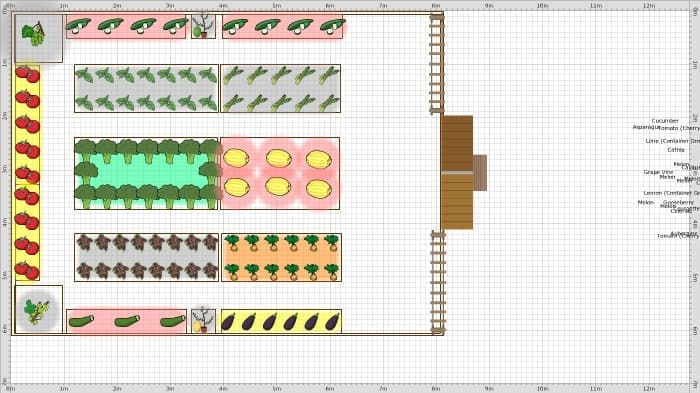 A vegetable garden plan is basically what plants you’re planting where. 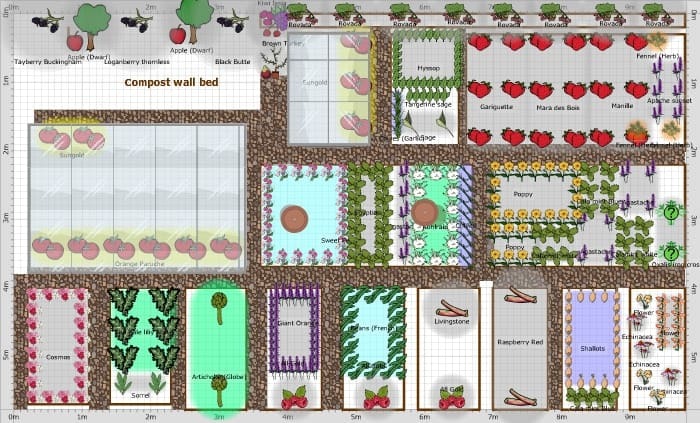 The where can be raised beds, in unique garden beds like rocks or herb spirals or typical ground level. 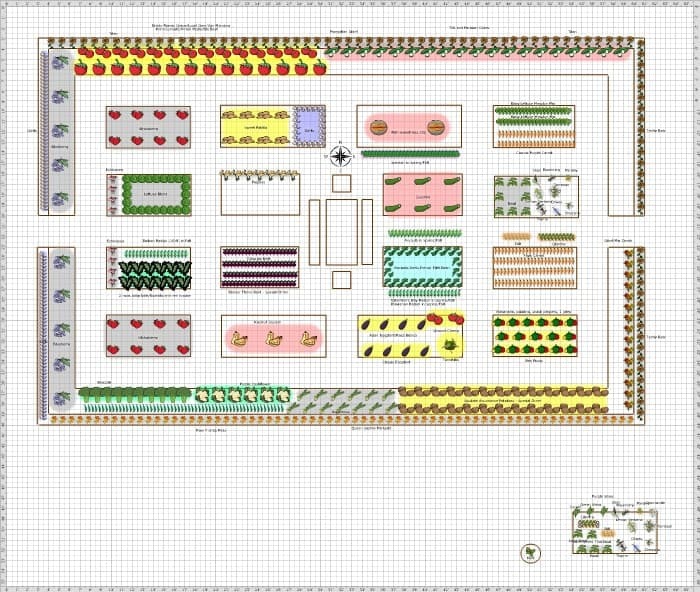 You’ll need to focus your designs and plans on sun exposure as that’s very important. 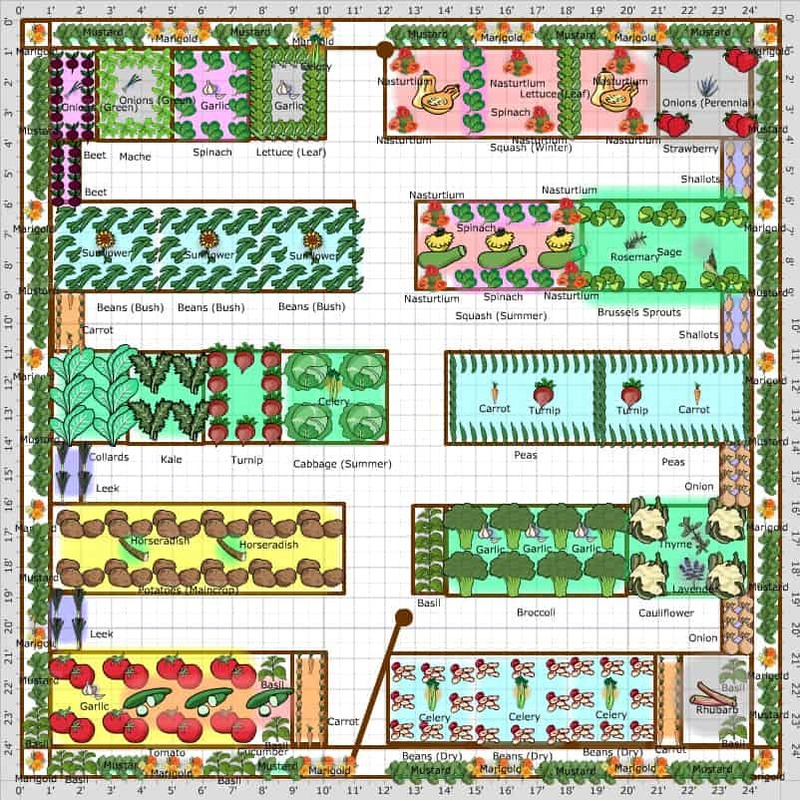 Your garden designs and maps will change depending on your backyard or acreage size too. 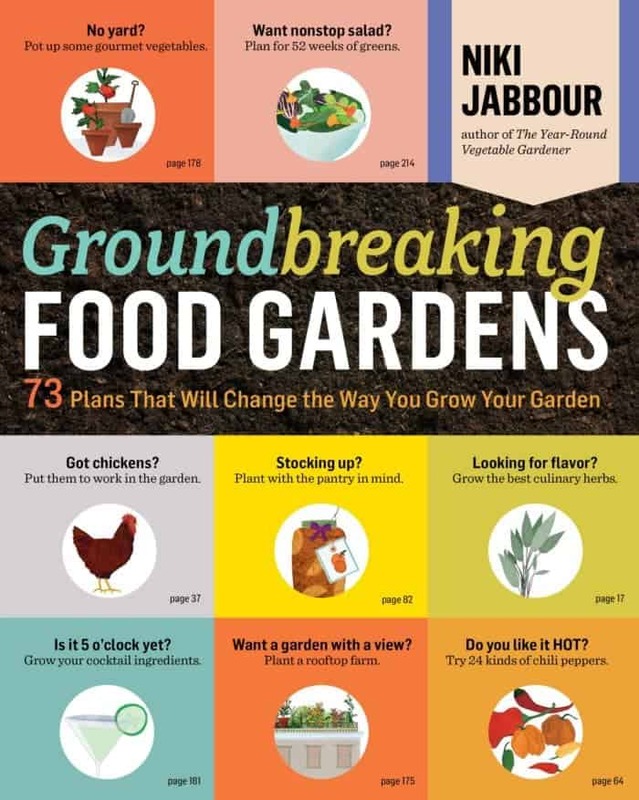 In her book she has wonderful garden designs for so many garden sizes. 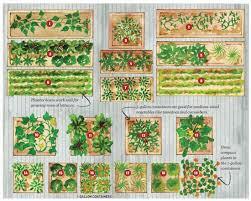 Whether you’re looking for urban vegetable garden design or large garden sizes. 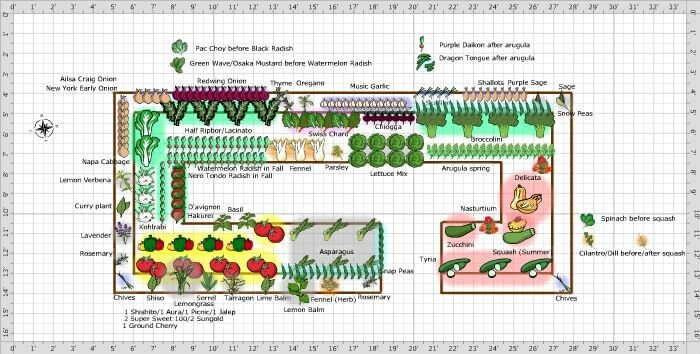 A great aspect of this garden planning resource is that it already has the spacing requirements for your crops. 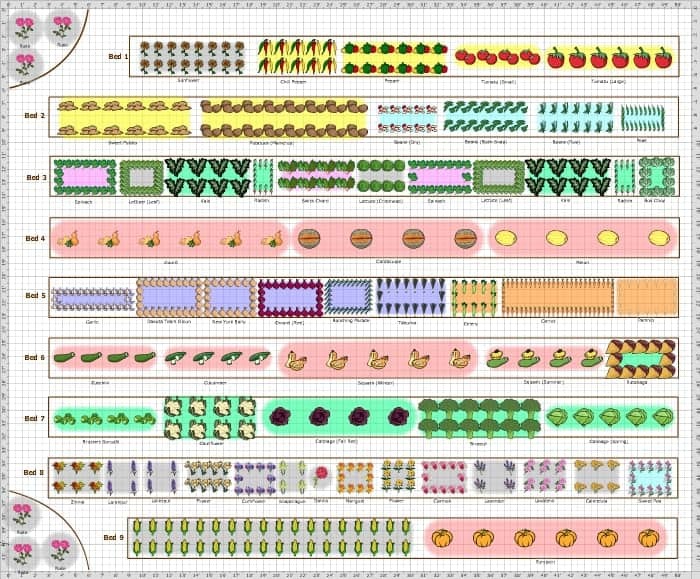 It offers an extensive list of flowers, vegetables and fruit, including bushes and trees. 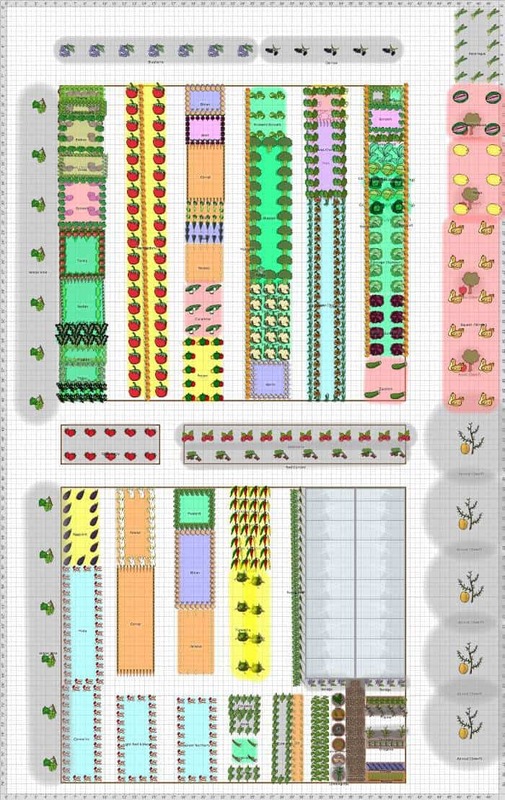 If you prefer a digital garden planning app, this one is great if you have the time to learn how to use it. 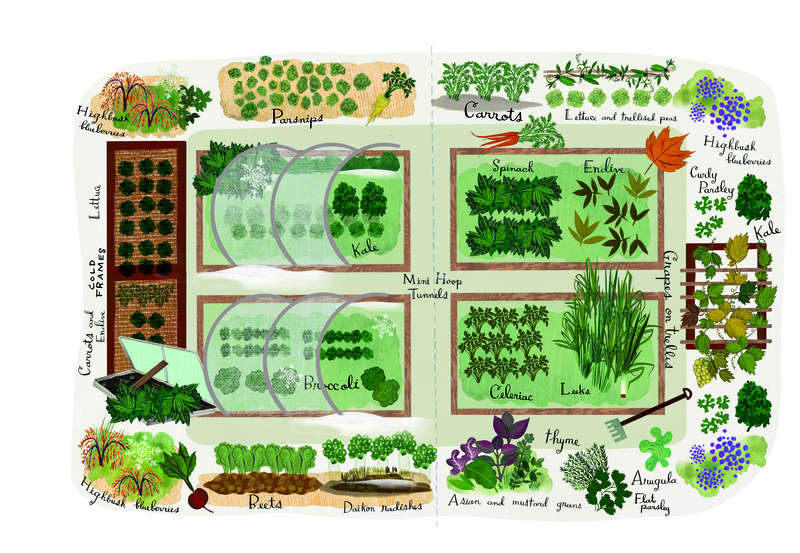 Looking for a great garden planner? 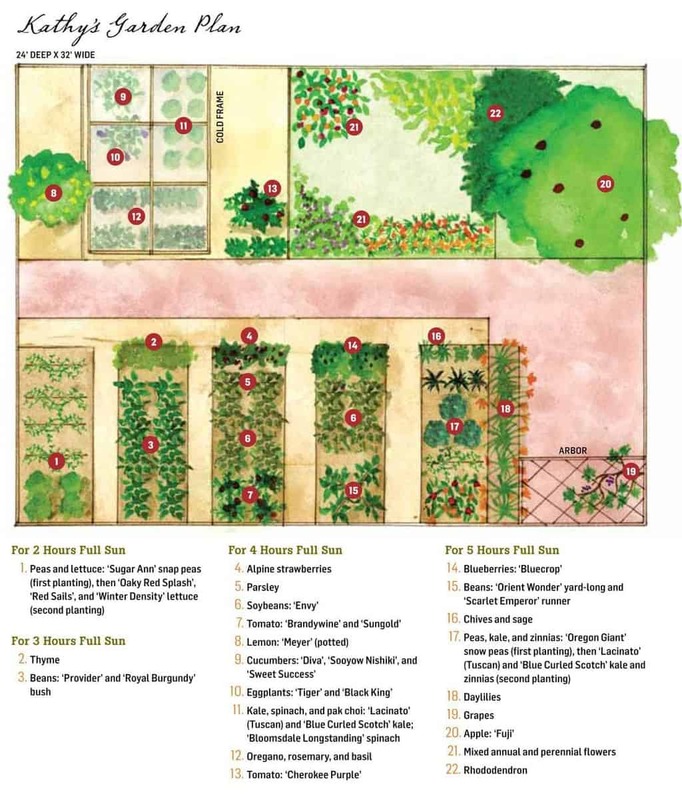 Once you have your garden designs you’ll need to create a planting schedule. 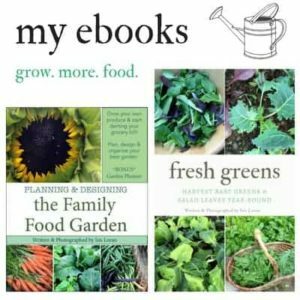 I created a 23 page printable garden planner to help you grow more food and stay organized. 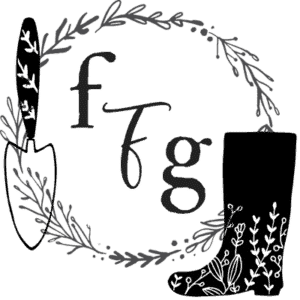 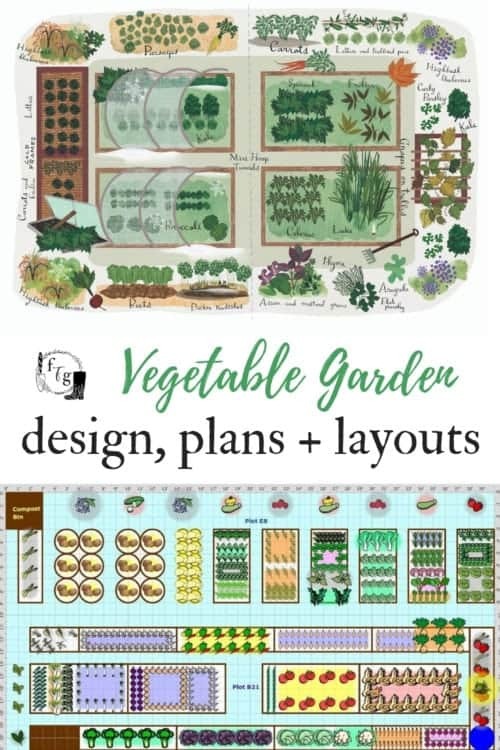 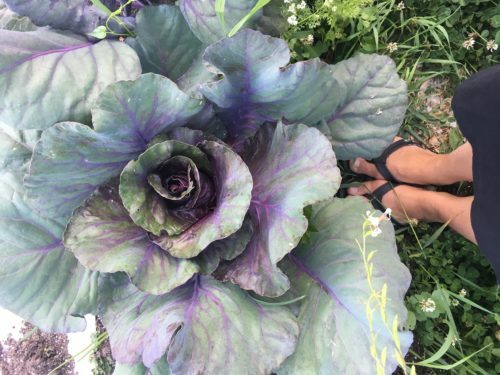 If you’d like to learn more about garden planning I have a 145 page ebook, with has a BONUS 30 page food planting guide to help you figure out what to grow.